What Is Soy Sauce and How Is It Used? Soy sauce is a basic ingredient in many Chinese and Asian recipes. Invented by the Chinese approximately 3,000 years ago, soy sauce is made from fermented soybeans, wheat flour, water, and salt. The two main types of soy sauce are light and dark. Soy sauce is a brown, salty liquid condiment made by fermenting soybeans or breaking them down with acid (hydrolyzing). This releases sugars as well as umami elements and develops the brown color. As wheat flour is commonly used in the process, those sensitive to gluten need to look for gluten-free and wheat-free versions, such as some types of Japanese tamari. It is typically a vegan product. The basic type of soy sauce that you may be familiar with on tables at Chinese restaurants and in little takeout packets is light soy sauce. As the name implies, light soy sauce is lighter in color but is also saltier than dark soy sauce. In Chinese cooking, it is used more often than dark soy—always use light soy in a recipe unless dark is specifically called for. Dark soy sauce is aged for a longer period of time and is thicker and blacker in color. It is also less salty than light soy. It is used in recipes to add color and flavor. It has a stronger aroma as well. For those sensitive to gluten, traditionally-made Japanese tamari contains very little or no wheat. You should read the label carefully to ensure the product is gluten-free as some types of tamari may contain gluten. Low-sodium soy sauces are available for those who are reducing salt in their diet. You should read the label carefully to determine how much fits into your diet. Kikkoman Soy Sauce generally contains less salt than light soy sauce. All cultures have a sauce that is used to stretch salt, which can be hard to obtain and very expensive in areas not adjacent to the sea. The Chinese developed soy sauce during the Han dynasty (B.C. 206 to A.D. 220). They boiled soybeans, added wheat or barley, allowed it to ferment, then added salt and water. Korea was soon using a similar process. Soy sauce was introduced to Japan by Chinese Buddhist monks around A.D. 600, but it didn't make its way to Europe until the 1700s. Soybeans are the main ingredient of soy sauce. In fact, the plant was named after the Japanese word for the sauce (shoyu). Water, salt, and roasted grains (often wheat) are used in making soy sauce. Traditionally, soy sauce was made by fermenting soybeans with Aspergillus oryzae and other mold and yeast cultures. Today, it is often produced more quickly by hydrolyzing the soybeans, turning them into hydrolyzed vegetable protein. What Does Soy Sauce Taste Like? Soy sauce provides salt, sweet, umami (savory) and even a little bitter flavor. This balanced flavor profile makes it an excellent condiment. You predominantly detect the salt, sweet, and umami, which mask the final bitter note. The free amino acids produced in hydrolyzation or fermentation combine to form natural sodium glutamate (MSG) which is key to the umami taste. Soy sauce can be used in a marinade or braising liquid for meat or added when cooking stews or soups. It is not affected by heat during cooking and can add brown color. In stir-fries, it is usually added to the vegetables before the noodles are added, but more can be added at any time in the cooking process. Soy sauce can be provided at the table to add to dishes as needed to provide salt and additional flavor. Many Asian savory dishes use soy sauce as an ingredient. It is also used in dipping sauces for appetizers and meat. You may need a soy sauce substitute if you have simply run out of it and can't make a quick trip to the store. The umami element can be added by using Worcestershire sauce, Maggi seasoning sauce, beef stock or bouillon, balsamic vinegar, coconut aminos, or liquid aminos. You would need to adjust for the salt and sweetness usually provided by soy sauce as well. One common need for substitution is for those on a low-sodium diet. 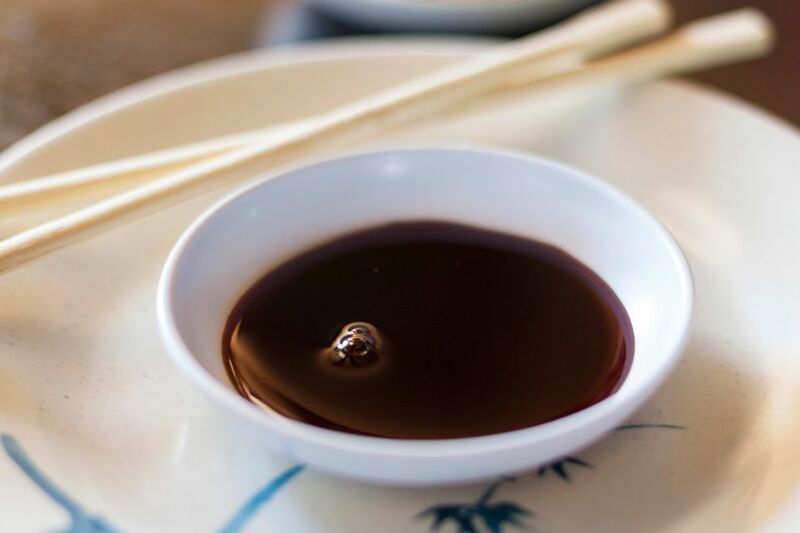 A soy sauce substitute can be made using low-sodium beef broth, molasses, balsamic vinegar, red wine vinegar, sesame oil, garlic powder, and black pepper. This is simmered to reduce and concentrate it. Find light soy sauce in the supermarket in the Asian foods section or condiments section. Well-stocked markets should also have dark soy sauce and tamari. You can find traditionally-fermented varieties at international grocers. Store soy sauce at room temperature, away from direct light and heat. It's best to use it within three to six months after opening it as the flavor will deteriorate over time. While not required, it is perfectly acceptable to keep soy sauce in the refrigerator, as that can help maintain the flavor longer. Soy sauce won't spoil, but exposure to air will lead to oxidation and darken the sauce. This may also lead to a stronger flavor. If your primary goal is to trim calories and carbs, soy sauce is a low-calorie, low-carb way to add flavor to food. You can't ignore that it is high in sodium, so be sure you are balancing that aspect of your daily intake and choose low sodium varieties if needed. Interestingly, research is looking into the shoyu polysaccharides present in soy sauce for their beneficial effects on seasonal allergic rhinitis.